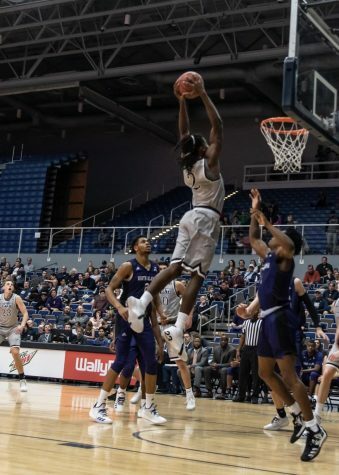 After trailing to the hot shooting Bisons, the Ospreys came back to earn a 72-66 win. The three-pointers from Lipscomb were burying the Ospreys throughout the first quarter as they made 6-12.The Bisons started the game with a three from Emily Kmec to put Bisons up, 3-0. 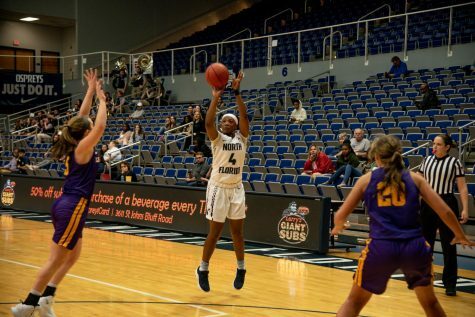 Junior Adrienne Jackson nailed a mid-range shot for the Ospreys which tied it at seven. Junior Carleigh Short had back-to-back three-pointers to push the Bisons lead to 13-7. Lipscomb led 21-12 at the end of the first quarter. Short made a long-range three to start the second quarter with a 24-12 lead for the Bisons. Lipscomb’s hot shooting continued to separate themselves from the Ospreys until the last four minutes. 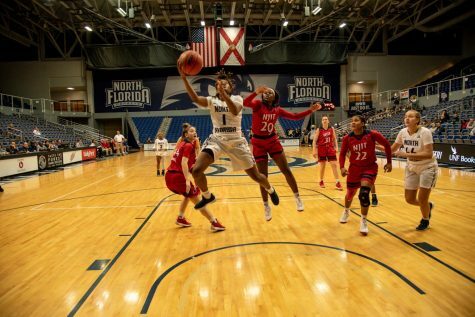 UNF had a spurt where they scored seven unanswered points to position themselves only down 36-30 to Lipscomb. The Bisons scored five points in the last minute of the second quarter to lead 41-30 at the end of the first half. Redshirt-Sophomore Emily Kmec led the Bisons with 10 points. The Ospreys shot 40 percent from the field in the first half as the Bisons shot 41 percent. The Ospreys pulled within two after going on a 10-3 run entering the second half which caused a Lipscomb timeout. 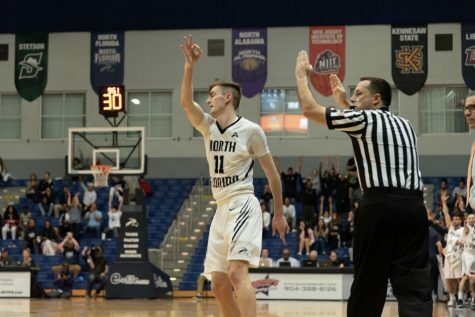 The Ospreys remained within striking distance as UNF made five of their eight field goals within that stretch. Senior Arianna Emanuel-Wright tied the game at 47 on making both free throws after getting fouled. 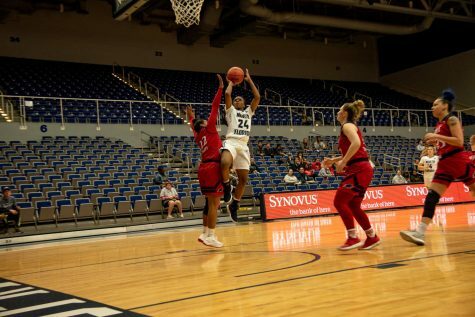 The Ospreys gained their first lead of the game as Emanuel made both free throws at the charity stripe again to put the Ospreys up, 49-47. 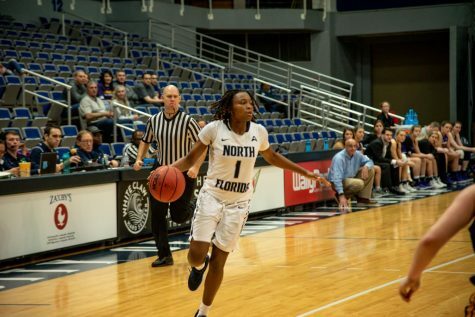 UNF carried a 51-50 lead into the fourth quarter. Early in the fourth quarter, Junior Lauren Rau’s three-point play put the Bisons up, 53-51 as Emanuel-Wright quickly countered with a layup to tie it back at 53. The Ospreys went on a 6-0 run to lead 59-53 at the media timeout. 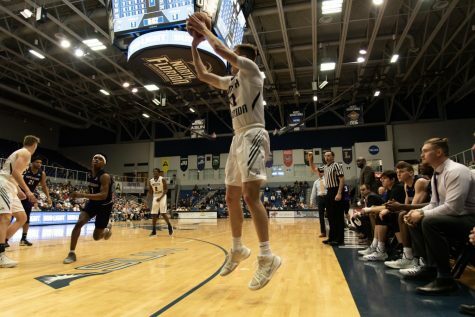 Jackson made a key three-pointer to expand the lead to 64-57 for the Ospreys with less than four minutes left in the game. 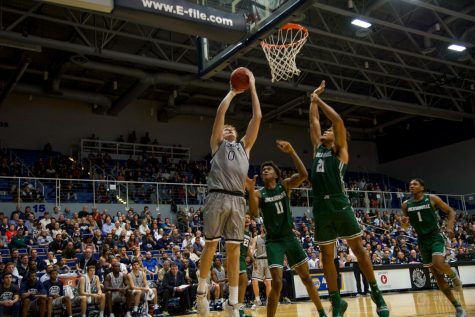 The Bisons threatened late in the game after Rau made two free throws to be within four points of the Ospreys with two minutes left but the Ospreys held on to earn the win. 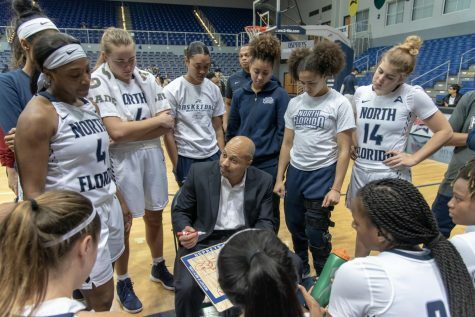 UNF Women’s Basketball Head Coach Darrick Gibbs talked to the Spinnaker about what worked well for his team when overcoming the 13-point deficit in the second half. “Defensively, first and foremost, I thought we gave up too many points in the first half. We can’t win games that way. They were shooting the ball really well but still we had to do something to disrupt their rhythm and I thought defensively, we really adjusted. Our closeouts were better and we were more disciplined and we were able to consistently get stops,” Gibbs said. 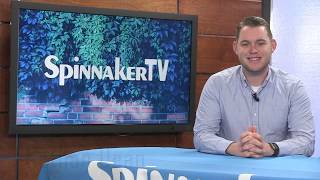 Jackson talked to the Spinnaker about what the wake-up call was for the Ospreys to come back against the Bisons. “The big thing that we’ve been trying to focus more on is staying together in adverse moments so I feel like we grew as a team in that moment. We were down but we still had our heads up high,” Jackson said. 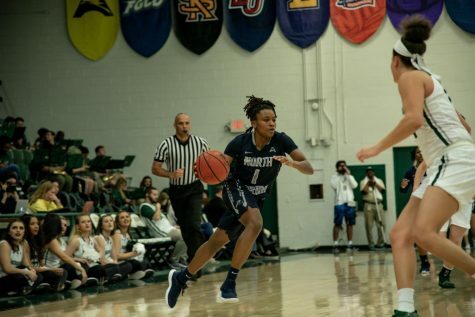 Jackson recorded a career-high 17 rebounds and Emanuel-Wright scored 20 points in the game, which was her ninth game this season where she scored in double-digits. 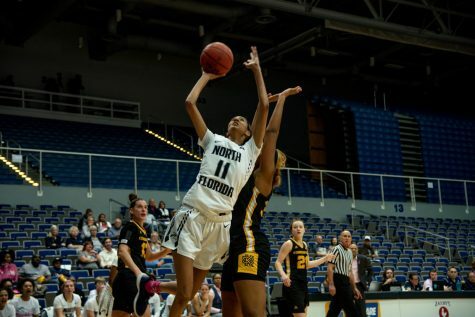 The Ospreys shot 50 percent from the field and outrebounded the Bisons, 39-32. This win moves UNF up to 9-11 (4-5 ASUN) and drops Lipscomb to 2-20 (0-9 ASUN). 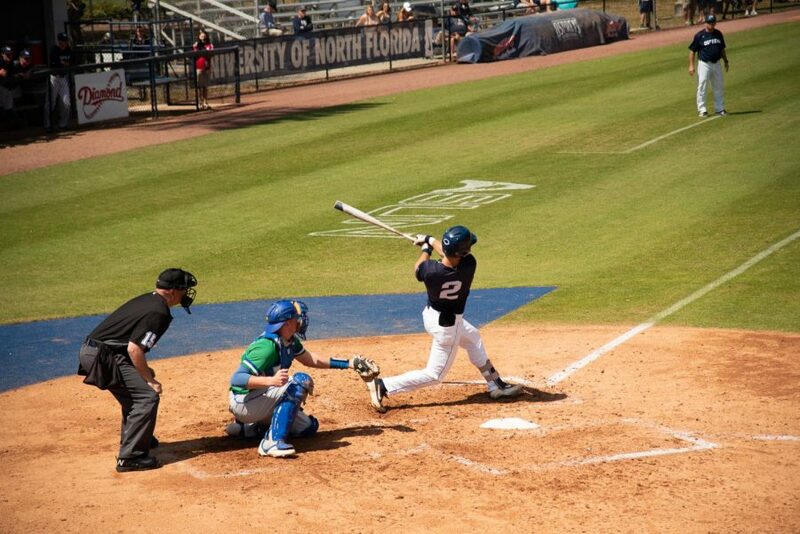 The Ospreys head out of state to take on North Alabama on Saturday, Feb. 9 at 2 p.m.